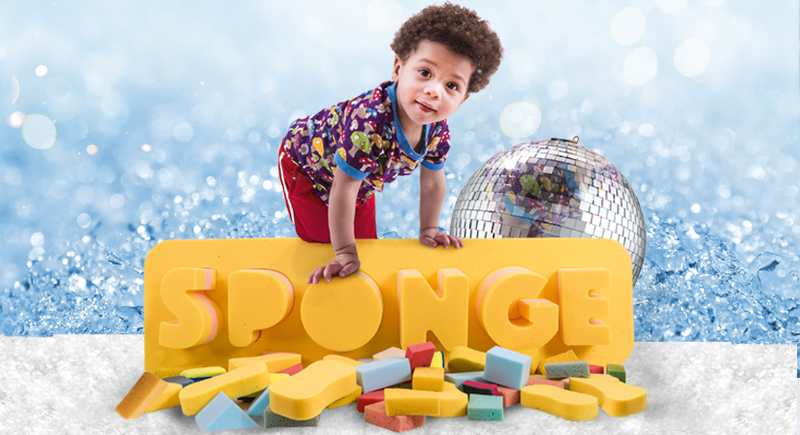 Everything in Sponge can be made with simple materials at home so there’s plenty more fun to be had after leaving the theatre. — Vienna. Early Years Practitioner, Penn Green Children’s Centre. All tickets this season are only £5.00! Price: £5.00 : Please note adults and children, including babes in arms will each require a paid tickets. You will need to take off your shoes for this performance so make sure you’re wearing some cosy socks! We know how difficult it is to get little ones ready. As we’re running 2-3 shows a day it’s really important that we start on time. We’d really appreciate it if you could try and arrive in plenty of time and we’ll have a space for early birds to sit in the cafe beforehand. Turned on Its Head is based in the East Midlands and was created to push the boundaries of performance for children under 5 and their families. The company’s work is co-created with audiences with the moment of performance fused with the spontaneous reaction of the children (and parents). In the work children become immersed in the theatrical experience on their own terms; and the performance gives space for engaging and respecting each child’s response. Performances are characterised by high and inclusive levels of authentic participation, incorporating improvisation with the children and their families as active participants in telling the story whilst also telling their story in that moment. As a result, audiences have a strong sense of ownership and belonging in the performance space, are actively involved and can continue with aspects of the performance at home.